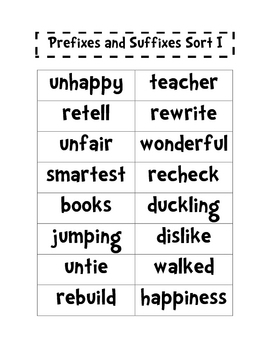 This contains two word sorts for Prefixes and Suffixes. It contains a work mat that you can print on card stock and laminate for use year after year. I usually print out and paste on scrapbook paper to make it look cute. 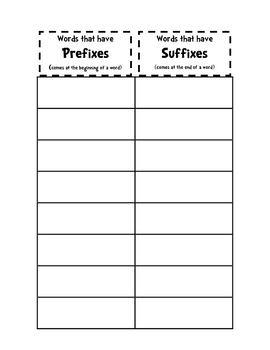 I use this in small groups to reteach or as an assessment tool to test student knowledge of Prefixes and Suffixes. Thanks for looking!